Note: Packages can only be tracked the day after the shipping date. 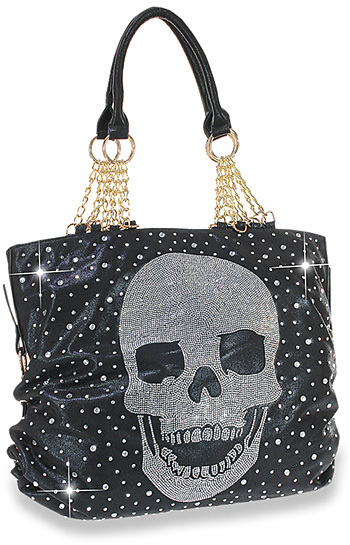 This gorgeous handbag is constructed of soft, shimmering fabric with a grinning skull design in a field of brilliantly twinkling stones, it is an attention grabber! Also featured are chain accented, dual carrying straps with 12in drop length. Gathered side accents complete the look.